Art in Australia was an early twentieth century art magazine containing articles by or about significant Australian artists, including Norman Lindsay and Margaret Preston. The magazine offered a unique, historical aspect into both Australian art and artists and the development of prominent art collections in Australia. 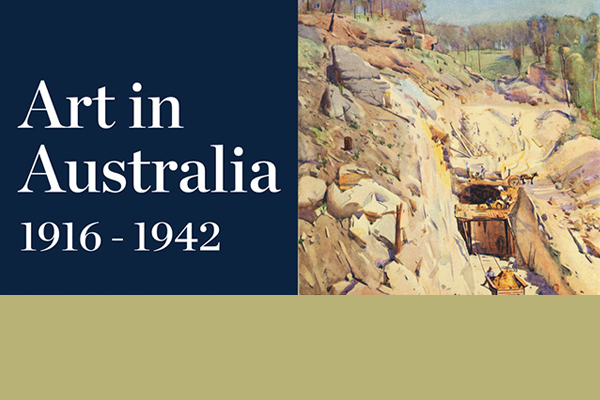 Produced between the two world wars, 1916 to 1942, the journal Art in Australia is a major resource for Australian art history, promoting modern ideas at a time when electricity and automobiles were just being introduced to Australian households. A joint project between the University of Wollongong Library, the University of New South Wales Library and the National Library of Australia has resulted in a free, online version of this prominent early Australian art publication. All issues of Art in Australia are available and fully searchable on Trove, making this historical archive easily accessible. For other online sources see Library collection. To initiate another search, return to the search box on this page or leave the search terms "nla.obj-325167134" in the search box in Trove, adding other subject terms to search within the Art in Australia archive. Copyright varies with publication date of each issue. There may be full copying rights or copying may only be possible under some circumstances, for example a portion for research or study. For more information see Copyright.